I really enjoyed the Mosaic Tile Mural in Hanoi, Vietnam. 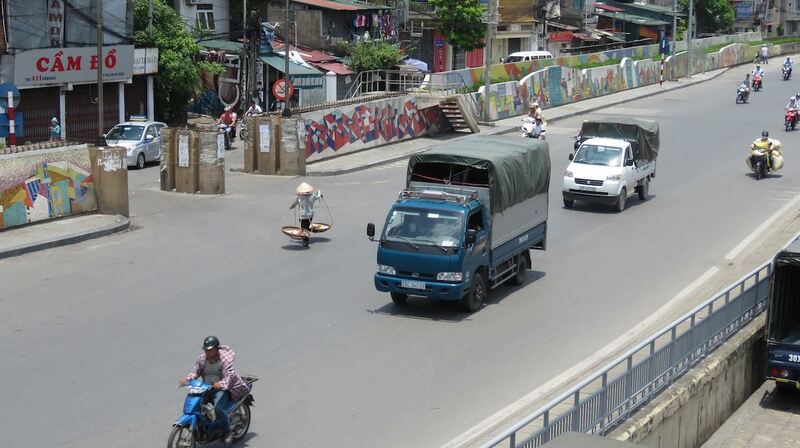 The Hanoi Ceramic Mosaic Mural covers nearly 4 km and was started as part of the commemoration of the millennial anniversary of Hanoi (2010). The site is north and east of the old city and I enjoyed the walk. See the Curious Cat Tourist Map for Hanoi with the location of the mural (when I was asking people where it was people didn’t know – the language barrier likely was part of the issue even if they spoke English a bit). All photos by John Hunter. 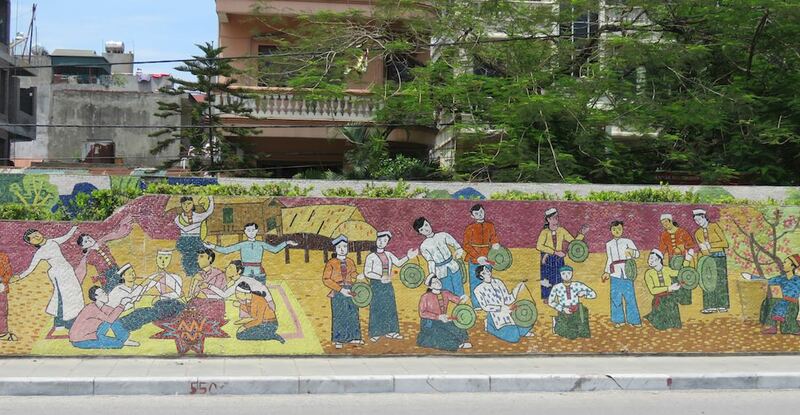 yeah, I was impressed with the Mosaic Tile Mural in Hanoi. It was amazing and I had a lot of pictures about it.